Marla Spivak: professor of Apiculture and Social Insects at the University of Minnesota. She joins us in the studio. She has been a beekeeper for over 32 years. 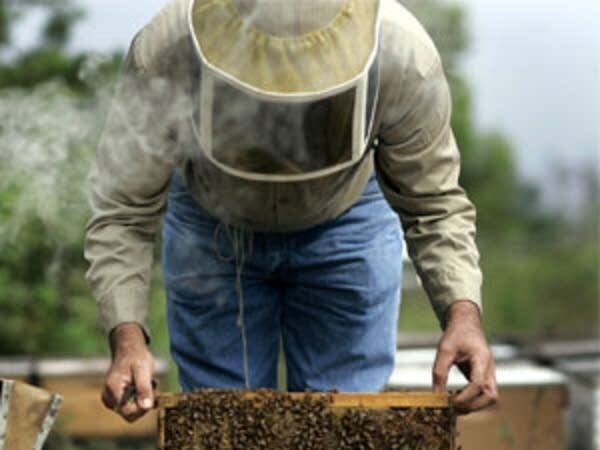 David Hackenberg: commercial beekeeper for 40 years, and has served as Pennsylvania's State Apiary Inspector and is a past president of the American Beekeeping Federation. He has lost all but 800 out of 3,000 hives. He joins us by phone from Dade City, Florida. Beekeepers are losing their hives by the hundreds, and no one seems to know where the bees are going. Our experts discuss the so-called "colony collapse disorder" and its impact on U.S. Agriculture.